Federal prosecutors in Brooklyn indicted 6 men and 6 businesses in a far reaching international case alleging a $500 million fraud. Charges included conspiracy to commit securities fraud, tax fraud, and money laundering. 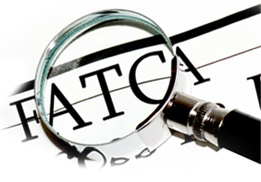 According to a statement from the Justice Department, the tax fraud charges stem from the recently enacted Foreign Account Tax Compliance Act – FATCA. Those charged are: Andrew Godfrey (Belize), Rohn Knowles (Bahamas), Cem Can (Canada), Brian De Wit (Canada), Kelvin Leach (Bahamas) and Robert Bandfield, a U.S. citizen living in Belize. The six businesses charged are: IPC Management Services, LLC; IPC Corporate Services Inc.; IPC Corporate Services LLC; Titan International Securities, Inc.; Legacy Global Markets S.A.; and Unicorn International Securities LLC. Only Bandfield was in custody at the time of the indictment and was awaiting extradition to New York. Arrest warrants are outstanding for the others. The case began with an undercover agent who approached the defendants seeking to avoid SEC and IRS scrutiny. These days, hardly anyone blinks at the mention of another fraud or criminal tax case. This one is different for many reasons, however. This indictment marks the first time we have seen a FATCA violation alleged as an overt act in a tax fraud case. The government alleges that as part of the conspiracy to defraud the IRS, Bandfield, Godfrey and Can concealed the proceeds generated by the manipulated stock transactions through a series of shell and nominee companies. This included preparing phony and fraudulent IRS withholding forms (W-8 BEN), a violation of FATCA. The indictment claims that Banfield and Godfrey told an undercover agent that their W-8 BEN nominee scheme would allow the agent to avoid FATCA and US reporting obligations. The Justice Department says that Banfield “boasted” to the agent that he had designed the scheme to counter President Obama’s new laws, an apparent reference to FATCA. One of the offshore corporate defendants involved advertises its services as creating shell and nominee companies. According to the indictment, company representatives told the undercover agent they had created over 5000 nominee companies and that their structure was designed to defeat FATCA reporting. Those conversations were secretly taped by the agent. The case is also unique because of the size of the fraud and the number of agencies participating. We see the IRS participating more and more with other law enforcement agencies. This case involved agents from the FBI, IRS, SEC, Homeland Security and Immigration and Customs. The case also involved an agent going offshore and acting in an undercover capacity. It is easy to see that the IRS and Justice Department are growing increasing sophisticated and aggressive in their tactics. The IRS and Justice Department continue to aggressively target banks, accountants and other involved in helping Americans avoid taxation through the use of offshore accounts and shell companies. This indictment shows the government is also actively looking at businesses that create shell companies.